Hagr Edfu, Area 2b, view northwest, Late Antique mud-brick installations in and around tombs (Photo: James Rossiter). 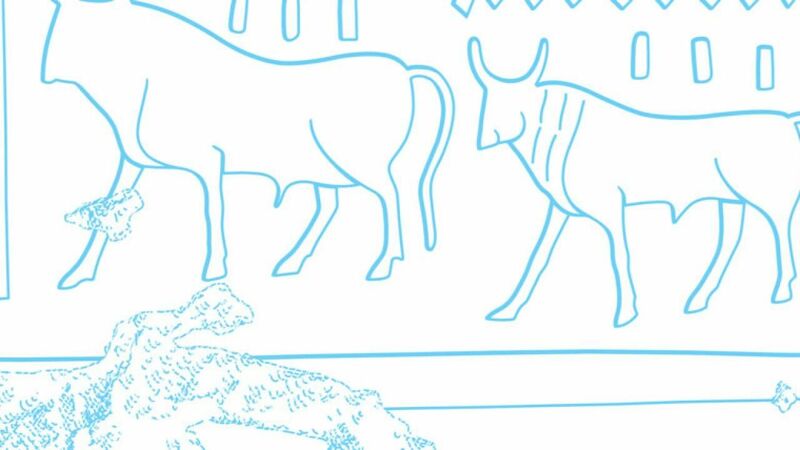 In 2007, a British Museum expedition began investigating the late antique activity at Hagr Edfu, with a focus on surveying, conserving, and documenting the rock-cut tombs of Areas 1 and 2, including Tomb D of Area 2b. 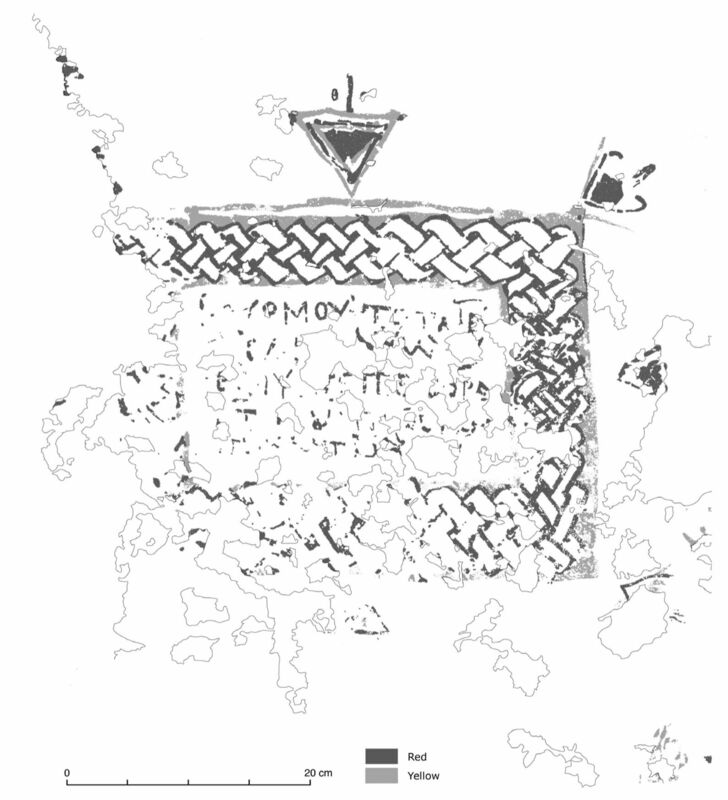 Based on pottery, inscriptions and ostraca, this phase of use at the necropolis can be dated to the 5th–9th century AD. “Area 2b, Tomb D provides a welcome case study because the rock is relatively stable and the interior whitewashed and decorated. The architecture of the original tomb consists of two large rooms, the second of which has two small chambers extending from its west and south walls. The entrance to the tomb is fitted with emplacements for a lintel, door sockets and a plastered mud brick step. A round hole in the façade (max. diam. 25cm) functions as a window, admitting a low, diffuse light. 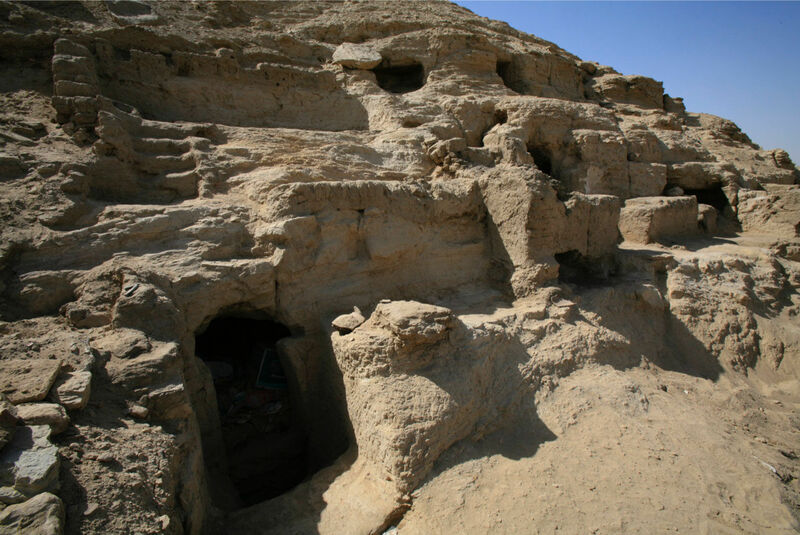 Removal of wind-blown sand from the first chamber of Tomb D confirmed that the rock-cut tomb had been ‘cleared’ by earlier excavators. 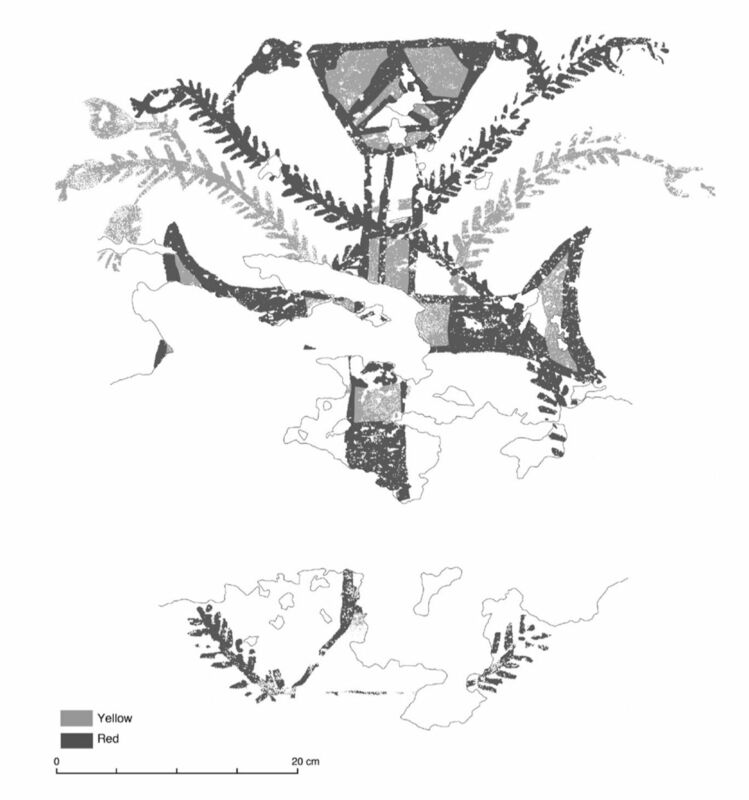 Nevertheless, several layers of floor plaster evidence multiple phases of use consistent with habitation. 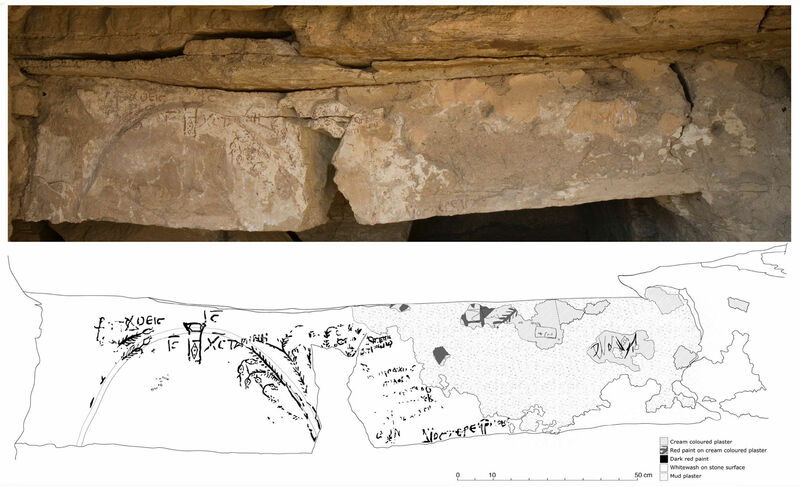 Future analysis of pottery embedded in the floor layers may suggest dates of occupation. On the walls of the first room of Area 2b, Tomb D, a programme of dipinti consists of six crosses and two framed Coptic texts. Painted on a white earth ground, the texts and all but one of the crosses are painted in combinations of red and yellow ochre. The two texts are located in the centre of the north and south walls, respectively (Figs 17 and 18). Today, both texts are largely destroyed by a natural fissure running north-south through the first room of the tomb. Nevertheless, pnoute (‘God’) can be read in the first line of the text on the south wall. The texts are framed by guilloche borders, painted using the same technique documented on various media at Western Thebes, and common in 10th and 11th century AD manuscript illumination at Hagr Edfu. Each framed Coptic text is flanked by two crosses. On the east wall of the first room, two additional crosses are painted at the centre and south end, while a doorway, leading to the tomb’s second chamber and framed by a red painted motif, is cut through the north end of the wall. 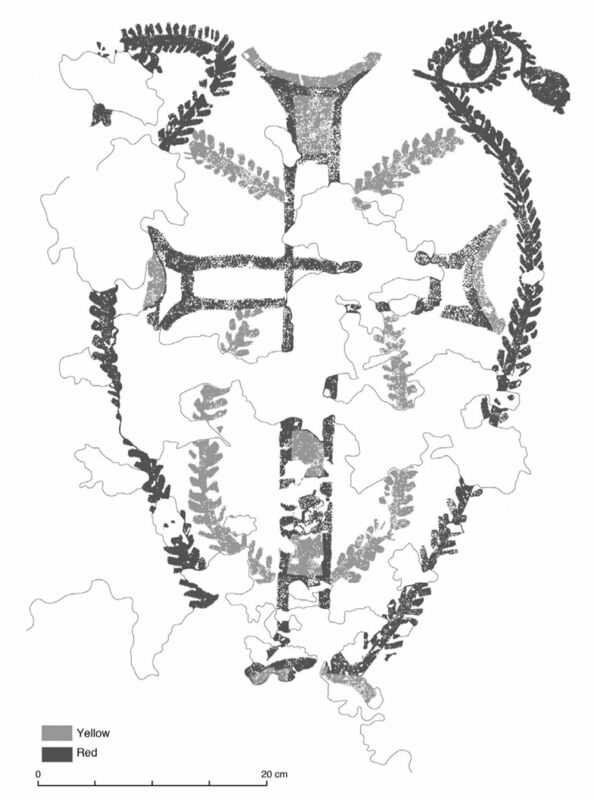 The majority of the crosses have elaborate, vegetal designs criss-crossing and encircling them (Fig. 19). The exception is a cross located at the west end of the north wall; painted in black, it consists of a knotted design (Fig. 20). 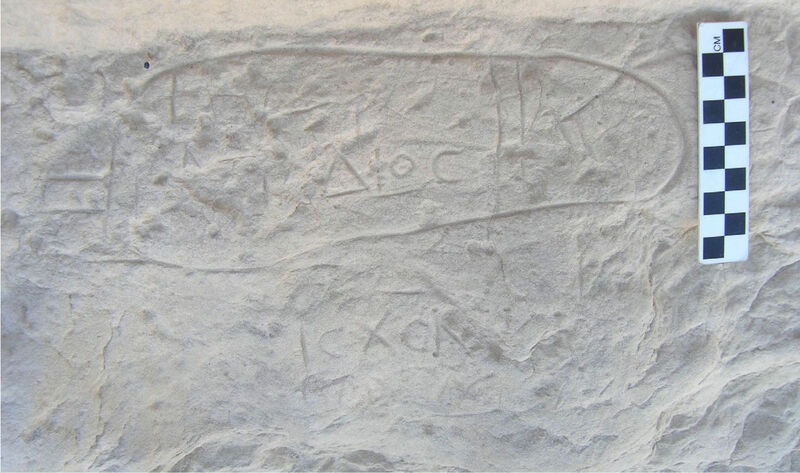 Incised in the plaster at the east end of the south wall and below a red and yellow cross is a rough Coptic graffito reading anok Stephanos (‘I am Stephan’) (Fig. 21). 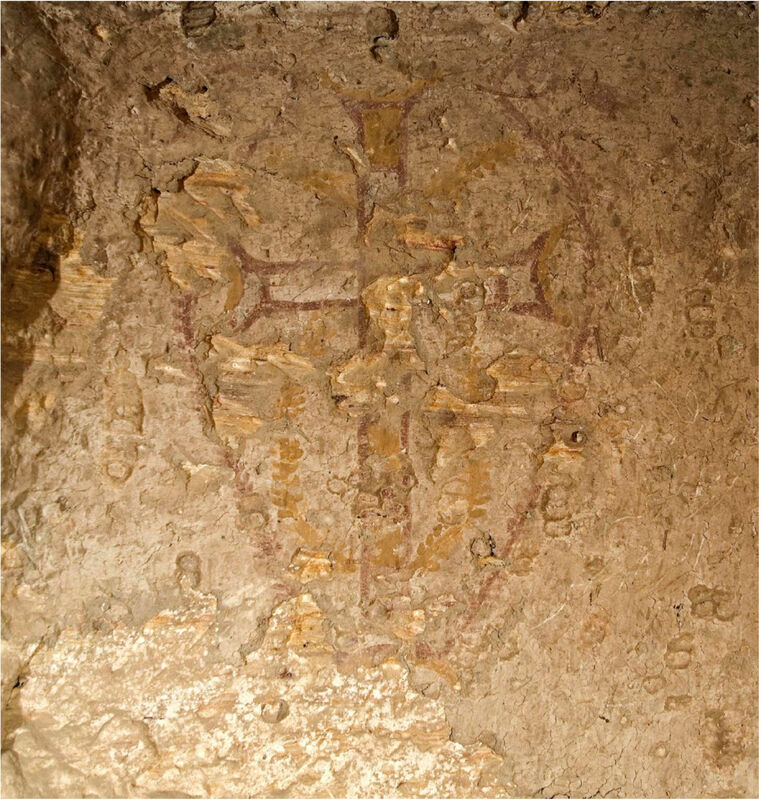 In the second rock-cut chamber of the tomb, a red and yellow ochre cross is painted directly on the stone wall over the entrance of a large niche in the west wall (Fig. 22). 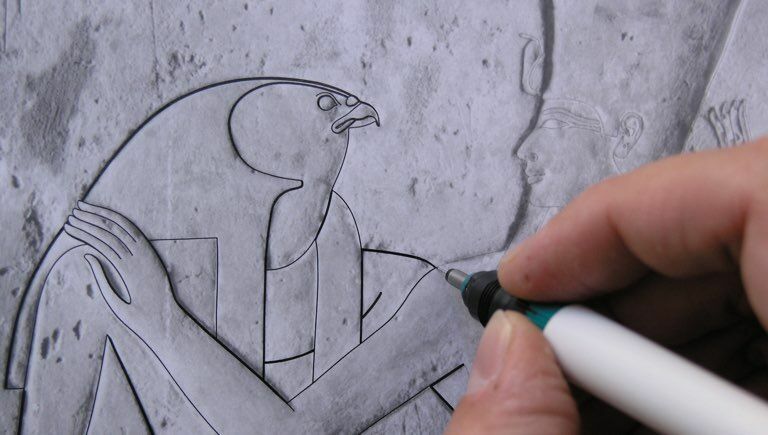 “In 2009, seven Coptic rock-inscriptions were systematically copied. Six are located on the west side of the shelter and a single inscription is written on a narrow ledge facing south. The texts consist of nomina sacra and personal names, including Apa Dios” (Fig. 34). Painted wall decoration was recorded by E .R. 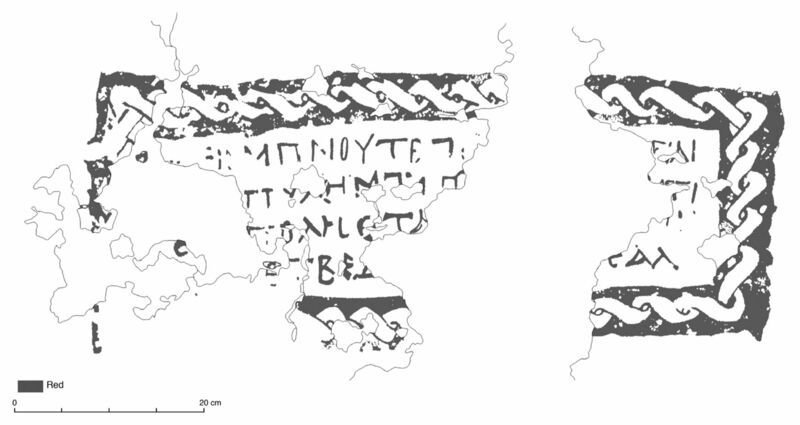 O’Connell and M. Marèe, while C. Thorne converted the epigraphic drawings to digital format (Figs 17–22, 24). Hagr Edfu. Area 2a [sic! ], Tomb D: cross dipinto in second chamber. Fig. 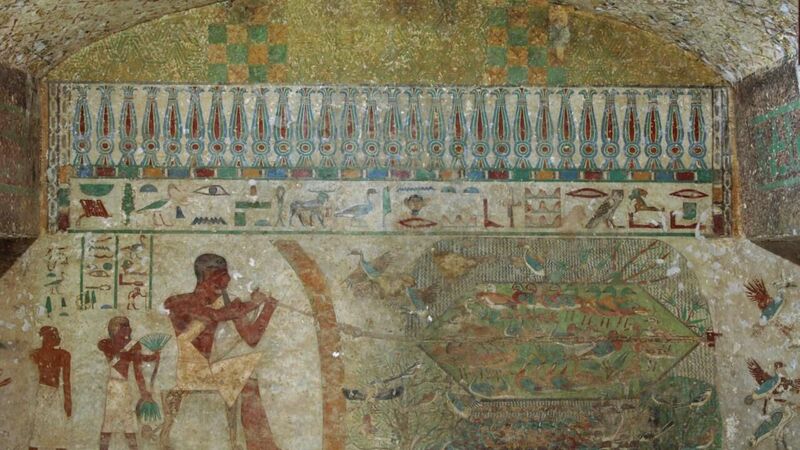 22: Hagr Edfu, Area 2b, Tomb D, red and yellow ochre cross painted on east wall of second chamber (E. R. O’Connell). Fig 17. Hagr Edfu, Area 2b, Tomb D, centre of north wall (E. R. O’Connell). Fig. 17: Hagr Edfu, Area 2b, Tomb D, centre of north wall (E. R. O’Connell). Fig. 18: Hagr Edfu, Area 2b, Tomb D, centre of south wall (E. R. O’Connell). Fig. 19: Hagr Edfu, Area 2b, Tomb D, red and yellow ochre cross painted at the centre of south wall (E. R. O’Connell). Fig. 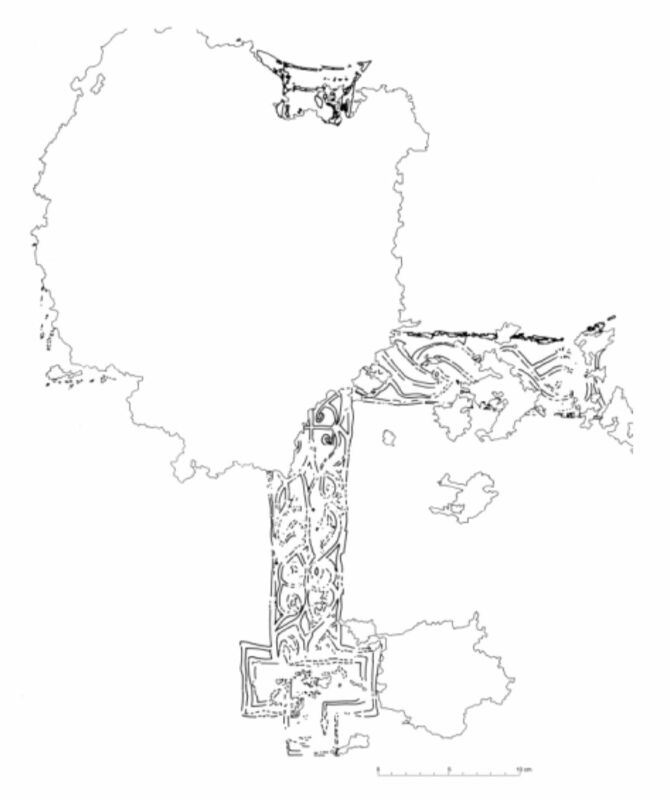 20: Hagr Edfu, Area 2b, Tomb D, black cross painted at the centre of north wall (M. Marée). Fig. 24: Hagr Edfu, Area 1, two phases on decoration (Photo: J. Rossiter; darwing: E. R. O’Connell). Fig. 21: Hagr Edfu, Area 2b, Tomb D, incised graffito at east end of south wall: anok Stephanos (‘I am Stephen’) (E. R. O’Connell). Hagr Edfu. Rock-inscriptions including the name Dios and a nomen sacrum. Fig. 34: Hagr Edfu, rock inscription, sandal containing the name ‘Apa Dios’ (E. R. O’Connell). Incised rock inscriptions are presented as outline drawings, with the consistent use of traditional sun-shadow conventions when applicable. Damaged areas are indicated by single-weight outlines only, so as not to interfere with the decorative elements. 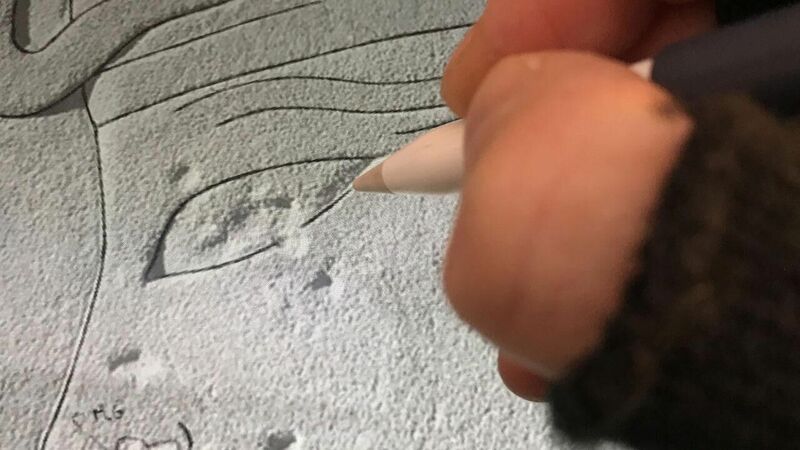 However, some of the surface treatment, such as plaster or whitewash on stone facades, are shown by a specific pattern fill whenever essential for the understanding of a scene or differentiating between separate stages of use (see Fig. 24 for example). 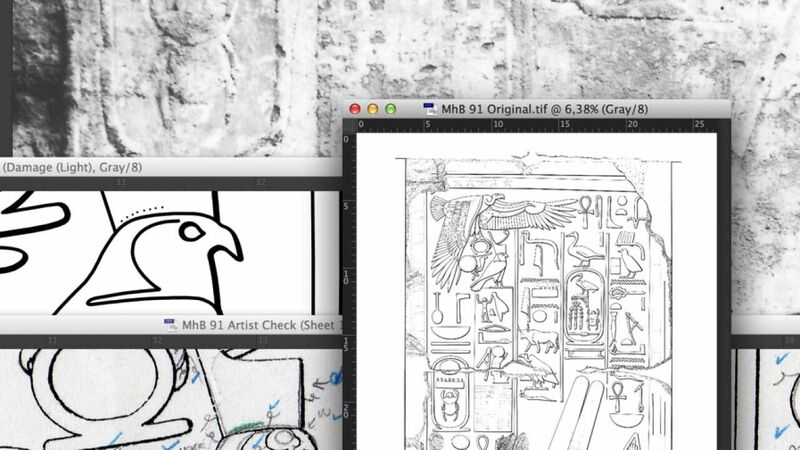 Occasionally, damaged areas are utterly omitted from the line drawings to further emphasize the shallow traces of the incised inscriptions. In these instances the damaged or unclear sections of the decorative elements are indicated by dotted lines (see Fig. 34 for example). There is a significant emphasis on color representation regarding painted decorative elements. 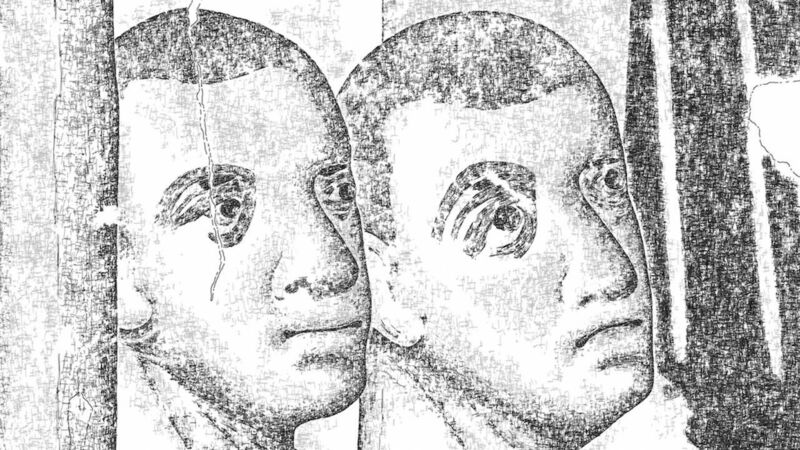 These often fragmentary and very much faded features are indicated in greyscale. Painted shapes are not merely drawn as outlines but are rather shown with a texture fill that has a close resemblance to the original. Color coded greyscale texturing is used consistently throughout the documentation, always accompanied by explanatory keys and signage. W. Vivian Davies and Elisabeth R. O’Connell- British Museum Expedition to Elkab and Hagr Edfu, 2009 in: British Museum Studies in Ancient Egypt and Sudan 14 (2009): 51-72. 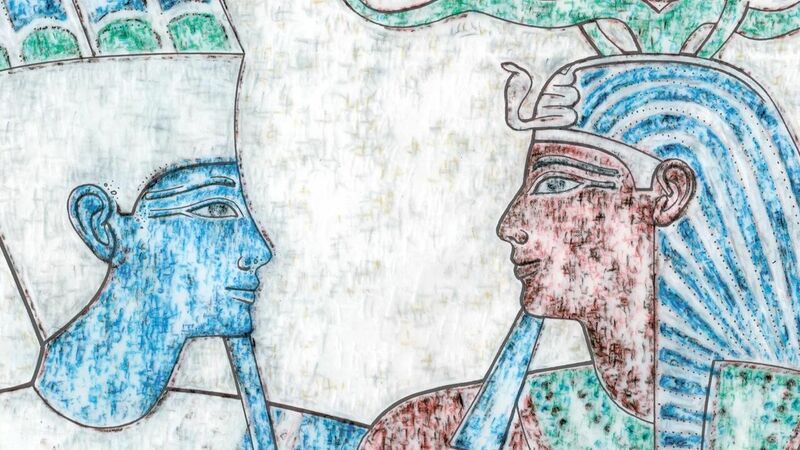 In 1979, a team of the Dakhleh Oasis Project discovered the upper part of lavishly decorated walls of what turned out to be a fourth century ‘villa’ occupied by a family of high social status.